The National Council recommended the government to bring all foreign day workers within the purview of Labour and Immigration laws and strictly enforce the provisions of prevailing laws on illegal immigrants. The House said the number of foreign workers in the country exceeded the approved ceiling which is in between 30,000 and 45,000. Today there are approximately 70,000 foreign workers in the country. 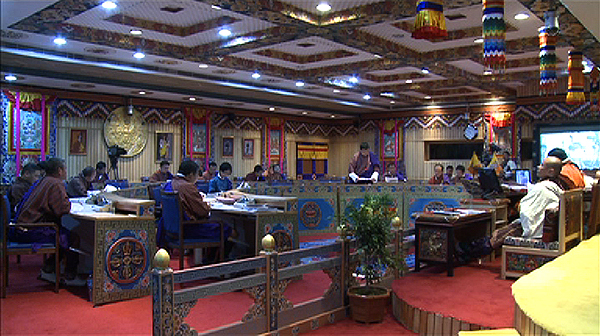 While the members expressed gratitude to project DANTAK for its role in the country’s socio-economic development and co-operation between the Royal Bhutan Army and Indian Military Training Team (IMTRAT), they recommended the government to ensure the recruitment process and terms of employment of non-uniform employees of project DANTAK and IMTRAT conform to the national Labour and Immigration laws. “About 5,000 non-uniform employees of Project DANTAK and IMTRAT have been recruited without work permits, which is not in conformity with the prevailing laws of the Kingdom”, reported Samtse’s NC member, Sangay Khandu. The House also recommended to immediately addressing the requirement of additional manpower, infrastructure and other facilities by law enforcement agencies such as immigration and Labour. Today, there are about 20,000 estimated day workers without work permit in the border towns.